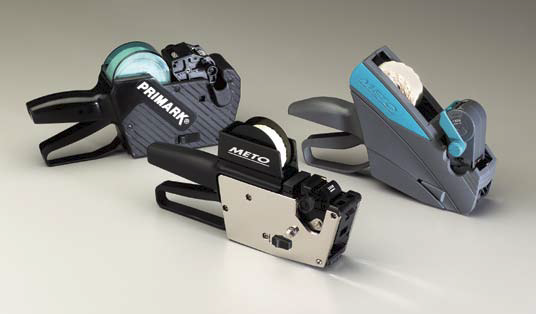 Sato/Meto’s sequential labelers assure high quality and flexibility for shade marking and other consecutive numbering applications. Most commonly used by apparel manufacturers, these systems provide a quick and easy means of identifying cut, size, and ply number information on cut work fabric bundles. Sato/Meto’s sequential labelers assure high quality and flexibility for shade marking and other consecutive numbering applications. Most commonly used by apparel manufacturers, these systems provide a quick and easy means of identifying cut, size, and ply number information on cut work fabric bundles. These labelers are engineered and built to endure rugged environments. Manual or Air powered versions are available with custom print band layouts that may be tailored to fit that special customer need.